As we have previously reported, there was a vote in the European Parliament on the 2nd July concerning the European Commission’s three proposals regarding the Road Worthiness Testing (RWT) package and relevant amendments. Technical roadside inspection of the roadworthiness of commercial vehicles circulating in the Union. The vote in the Parliament agreed on amendments to introduce RWT for motorcycles, whereas previously a committee of MEPs, the TRAN (Transport and Tourism), agreed to delete motorcycles from the proposals. If the proposed regulations went through right now, this would see the mandatory introduction of RWT or Periodical Technical Inspection (PTI) a version of our MoT for motorcycles across Europe. In the present European Directive motorcycles are not included in RWT, while in the UK we already have our version of RWT, as do other member states in the European Union (EU), there are nine who do not. As mentioned we have our own UK legislation for motorcycles, which has been in force over many decades. However, this would now have to take its cue from the new European legislation, which has been stated would be a minimum standard with member states “free” to have or introduce stricter standards is they so wish. Other European Member States that do not have RWT would have to introduce this legislation into their country, even where riders and their own governments do not want it. Recently the Council of the European Union (Representatives of Member State Governments) reviewed its previously published changes to the three legislative proposals of the roadworthiness package. It would appear that motorcycles still remain deleted in the Council’s position. At the vote in the European Parliament, Brian Simpson (Chair of the TRAN Committee), proposed that the vote on the draft legislative resolution be postponed under a procedural rule. Although parliament had agreed to the three proposals, it was also agreed that these be referred back to the TRAN committee for reconsideration. On the 8th July 2013 the TRAN committee voted in favour of a mandate to enter into negotiations with the Council and the Commission to head for an agreement on a common position for a vote in the European Parliament for the introduction of this legislation. However we do hear you cry what does all this mean, just hold on what about some plain language! September 2010 – We responded to a European Commission internet consultation relating to Periodic Technical Inspections (PTI) for motor vehicles and their trailers. What has evolved from the online consultation and the (lack of) information available is chaos. The Commission has simply stated its intent to extend PTI to 2 wheeled vehicles (mopeds, scooters and motorcycles) across Europe through a harmonised system. 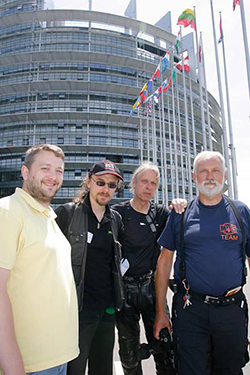 October 2011 – The Federation of European Motorcyclists Associations (FEMA) reports that representatives of the Federation from FFMC France, MAG Netherlands and NMCU Norway delivered the bulk of 110,000 signatures, at the seat of the Commission in Brussels, from citizens across Europe opposing EU Commission plans to make Periodical Technical Inspections (PTI) mandatory for motorcycles. July 2012 – The European Commission announced its proposal for a regulation for European wide Road Worthiness Testing (RWT) – previously known as Periodic Technical Inspections. The announcement included changes to the present European Directive including the introduction of extending mandatory periodical testing for Powered Two Wheelers. September 2012 – A demo run organised by MAG Netherlands in Brussels in co-ordination with MAG Belgium with support from NMCU (Norwegian riders organisation) and various other rider organisations that are attached to the Federation of European Motorcyclists Associations. The French riders group FFMC (Fédération Française des Motards en Colère – French Federation of Angry Bikers – mobilised riders across France and in Belgium.The FBMC, a separate riders’ organisation in Belgium also demonstrated in Brussels. In Ireland, a demo was held by MAG Ireland in the centre of Dublin against the European Commission’s proposal. Also in France a dozen FFMC activists blocked the entrance of headquarters of DEKRA. DEKRA is the leading inspection, certification services and claims management in the fields of Automotive, Transport and Industry. We are informed that the “activists” blocked the entrance and with the involvement of a dump truck, poured 1 ton of gravel in front of the doors! Moto Magazine reports that, “At the same time, activists equipped with oil, eggs and flour, covered the front of the building, under the gaze of stunned employees. December 2012 – The Council of the European Union agreed a general approach on a draft directive updating the common rules on periodic roadworthiness tests for motor vehicles. For motorcycling, the so called general approach does not retain the Commission’s proposal to extend periodic tests to motorcycles. January 2013 – The TRAN (Transport and Tourism) Committee of MEPs holds a public hearing, involving two expert panels, on roadworthiness checks and road safety as well as their impact on citizens and business. Riders organistions are not happy that they are not included as experts. The FIA (Fédération Internationale de l’Automobile) has a place at the hearing, the FIA say they represent 8 million motorcyclists! FEMA is not happy! April 2013 – The EU parliament’s (Internal Market and Consumer Protection) IMCO Committee voted for the proposal to become a Directive (in line with the EU Council’s position). A Directive means that countries would have far greater leeway in deciding on how this proposal is applied in each member state. IMCO also voted for motorcycles to be excluded leaving Member States to decide on national rules which for the likes of Great Britain, independent operators/garages could remain as repair and testing centres too.Another amendment adopted said that no later than three years that the Commission would submit a report to assess the road safety situation for motorcycles in order to assess whether roadworthiness testing of the two- or three-wheel vehicles should be introduced with if appropriate, by legislative proposals. May 2013 – The Transport (TRAN – Transport and Tourism) Committee of MEPs, which represents the European Parliaments position, voted on amendments and ruled motorcycles out of the European Commission’s roadworthiness test package. 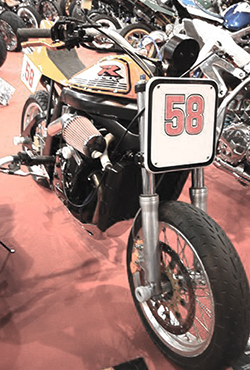 July 2013 – Parliament agreed on and voted on amendments to the proposal, this included to reintroduce motorcycles into the Road Worthiness package. These amendments were against the position/opinion of the TRAN Committee and had a majority of just 56 votes. However a vote on the proposals to be accepted by Parliament was postponed and the parliament’s position was referred back to the TRAN (Transport and Tourism) committee so that an agreement could be reached between Parliament – Council – Commission for a first reading in the parliament.Several of the rider organisations and their representatives were present at the vote in Strasbourg including, Morten Hansen (NMCU – Norway), Eric Thiollier (FFMC – France), Dolf Willigers (MAG NL Netherlands) and Chris Hodder (BMF – United Kingdom). July 2013 – The TRAN committee voted in favour of a mandate to enter into negotiations with the Council and the Commission to head for an agreement on a common position for a vote in the European Parliament for the introduction of this legislation package – or not! These Trialogues start in September. The Council: opted for the deletion of motorcycles from the proposal. For UK motorcyclists and those Member States who have RWT, nothing would change. For those Members States that do not have RWT nothing would change unless their government decides to introduce RWT for motorcycles. The Council also opted to change the proposed regulations into a Directive. The Commission: wants the introduction of mandatory RWT across all member states. The Commission also wants the proposals to be a regulation. 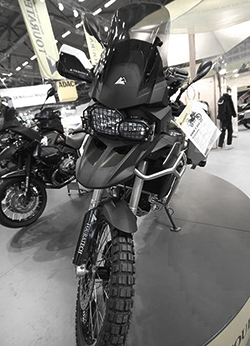 The European Parliament: preferred L3e motorcycles to be included in the proposal from 2016 and then smaller motorcycles L1e from January 2018, unless the Commission demonstrates in a report that such a measure would be ineffective. Plus the parliament’s preference is for RWT after four years (end of the fourth Year beginning of the Fifth year) then every 2 years. 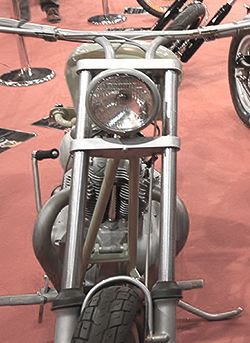 The TRAN Committee: its original opinion was for motorcycles to be deleted but “no later than three years from the date of publication of the Regulation, the Commission shall submit a report to the European Parliament and the Council on the inclusion of two- or three-wheel vehicles into the scope of this Regulation. The report shall assess the road safety situation for that category of vehicles in the European Union. In particular, the Commission shall compare road safety results for that category of vehicles in Member States carrying out roadworthiness testing of that category of vehicles with those in Member States which do not test that category of vehicles in order to assess whether roadworthiness testing of the two- or three-wheel vehicles is proportionate to the set road safety objectives. The report shall be accompanied, if appropriate, by legislative proposals”. In even more plain language, the message from the motorcycle community to the Commission would be that if you want to introduce RWT for motorcycles across Europe then you need to provide some substantive proof and evidence as required by the TRAN Committee. There are issues which involve motorcycles in the RWT package proposals and equally important issues relevant to other categories of vehicles. For example – Tractors, small trailers and caravans – this latter category has significant support in the UK. Jacqueline Foster, Conservative MEP for North West England, said: “Caravan enthusiasts and the caravan industry itself are extremely fearful. This proposed regulation will bring extra costs and inconvenience that could spoil their holidays and leisure time. “It also poses a threat to ordinary householders occasionally using small trailers for jobs like taking garden waste to the tip. Perhaps rider organisations and the motorcycle industry could take a page from this sector and develop a strategy to not only protect its interests as an industry and as consumers but also to see how this sector is able to lobby on behalf of a membership of one million members. Meanwhile, Phil Bennion (LibDem, UK) ALDE spokesperson on Periodic roadworthiness tests for motor vehicles and their trailers, said: “In an area of freedom of movement where we have the right to drive our vehicles throughout the European Union, these vehicles must be safe for everybody. We also need to be consistent in our approach. We are doing a lot to raise safety and environmental standards of vehicles at the manufacturing stage but we need to make sure that this is maintained throughout the life of the vehicle”. “The technical control of motorcycles, scooters, mopeds and more motorized tricycles of 4 years was a major achievement of this legislative proposal. The number of fatalities in the EU has finally passed last year below the 30,000 dead. It is worth adding approximately 1,500,000 injured, 250,000 to 300,000 injured serious! Bikers are unfortunately a part of these deaths and serious mutilation that goes well beyond the part of travel by the road they represent” (unfortunately, Ms Durant has not indicated exactly what the figures for motorcycles were either numerically or proportionately and in terms of kilometres travelled, it is well documented that these estimates are flawed). Effectively in fatalities and serious injuries, the proportion of cases relating to technical failure is miniscule, as most in depth studies have demonstrated which is that the overwhelming majority of cases of fatalities and serious injuries are due to human failure – not mechanical failure. Further comments from Ms Durant, “In addition, the bikes of today are also sophisticated, if not more than any automobile. It becomes more and more difficult to justify a technical inspection compulsory cars (which no one would dare challenge the relevance today), while continuing to exempt from other motor vehicles, on the pretext that they have one or two wheels less! The problem of the two small wheels is slightly different: it is, in addition, the need to prevent the manipulation of these, which lead to unnecessary and sometimes intolerable harm to the environment. Everyone knows that many of these devices are trafficked illegally to in booster ‘performance’, but at a cost that is significant to the community. There is a lot of concern that the cost of implementation of the proposal far outweighs any safety benefit and that would be better spent on other road safety projects with more benefit in terms of road safety and saving lives and preventing injuries. What does this mean for UK riders? 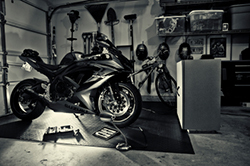 The concern for riders in the UK is that the MoT test will somehow become a “Super MoT” with an associated rise in costs, even though the Commission’s proposal indicates that the RWT would be of a minimum standard across the European Union with member states free to introduce a stricter regime if they wish to do so. At some stage anyway there could be the introduction of emission testing (this is dependent on the type approval legislation recently passed in which manufacturers will be obliged – from 2016 to declare emissions). However, in the UK our testing period is after three years (end of third year – beginning of the fourth year) then every year. 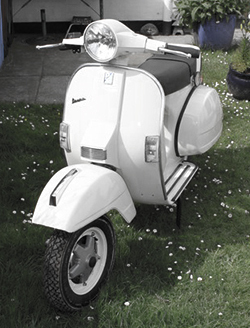 In Northern Ireland our MoT is carried out by a Government Agency, while in GB (rest of the UK) the test is carried out by independent testers who also in most cases also repair motorcycles. The RWT proposal aims to split these activities (see comments above from Jacqueline Foster on this specific proposal. If you are writing to MEPs remember they may have voted against the amendments and proposal. For Example in Northern Ireland our MEPs voted thus: Diane Dodds – Against – James Nicholson – Against – Martina Anderson – Abstained. The Belgium riders organisation FBMC (On Facebook ) are organising a demonstration on the 14th September against the proposal. We are continuing our own lobbying as we are sure other riders organisations across Europe are. In the grand scale of things, how will this proposal affect UK riders? From where we are standing – not a lot – possibly it will mean at some point in time, the inclusion of emissions testing. For the rest, our opinion has always been and remains that in Europe, each country has its own culture, history and way of doing things and if these countries prefer not to have RWT, that is their right. Our view is that each and every one of us must make sure that our motorcycle is roadworthy and safe to ride. Whether this depends on a third party inspecting our pride and joy to ensure that it is “safe” or whether it is for us to do, it doesn’t really matter as far as we are concerned – in the end it is our own responsibility. Lets hope that the Council under the new Presidency stick to their position, in negotiations, to keep the deletion of motorcycles from the Road Worthiness Testing package!